Hey, everyone! The weather is getting colder, the hours of daylight are getting shorter and it’s definitely been getting more rainy. Winter is undoubtedly on it’s way so I’m taking the time to go through some possible preparations so that I can keep riding comfortably and safely throughout the cold season. And I thought I’d share what I can with you all to hopefully help to make your winter riding a bit more enjoyable too. The first and biggest problem I have in the winter is getting cold hands. If you’re like me and you have terrible circulation in there, then your fingers and the finger knuckles are particularly susceptible to the cold and it hurts like heck. There are a couple of ways I’ve learned to combat this. Firstly, get a good pair of windproof and waterproof gloves, maybe just ever so slightly too big for you. The best thing about this trick is that it doesn’t cost all that much, there are plenty of waterproof gloves that are actually pretty cheap. No need to worry about them looking good too, since in winter its definitely much more a matter of survival than fashion. But if you do want a better looking and more expensive pair- go for it, the more you spend, the better this trick will probably work or the less need you’ll have for this trick in the first place. After getting yourself a pair of waterproof gloves all you need after that is a pair of cheap, woolly gloves that’ll fit underneath them and a pair of latex or vinyl gloves. 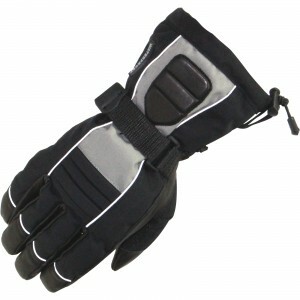 The woolly gloves will act as a base layer, providing a comfy liner that keeps a layer of warm air around your hands. The vinyl or latex gloves help to keep that layer of warm air trapped inside and also act as a windbreak and emergency waterproofing should the bike gloves not hold out in a downpour. And the actual bike gloves over them will take the brunt of the abuse the weather can throw at it. It’s a bit of faffing about, I know, it’s much more practical to just buy a really good pair of winter gloves. But if money’s tight and you’re looking for a low-cost solution to keep your fingers from falling off- this one’s worked like a charm for me. Of course this comes with a slight downside. Layering up your hands to keep warm like this will affect how responsive your hands are and how the bike feels and you may even feel your hands getting tired if they’re fighting to move in a load of layers. Alternatively you can fork out for a pair of heated grips if you prefer. I’ve heard a lot of good things about the hot grips we have from Oxford but my personal little glove layering trick saw me comfortably through last winter without having to spend anything. Perhaps this year I will give them a go- they’re really easy to install and £80 for something that’ll keep my hands toasty and responsive on a ride is worth the investment. Next tip isn’t really needed as long as you have a really good jacket. But if the jacket you currently have is notorious for leaks or just isn’t up to the weather, I advise you to either get a replacement or be prepared to slip into a set of overalls before every ride. Which isn’t actually a bad idea- you might look like the Michellin man in them but the fabric of most overalls is as excellent for keeping warm air trapped in as it is for keeping rain and cold air out. 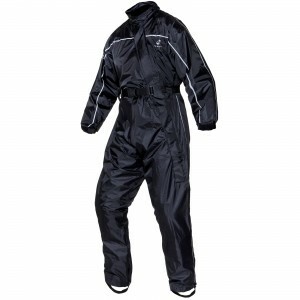 The Black Beacon Rain suit we sell is one of our most popular and it’s only £31.99. So even if it’s dry but it’s freezing out there, I slip on my overalls purely for the warmth and comfort. Extra tip- Got this one from my instructor back when I was doing my training for tests on a very wet day. Want to get your feet through the legs of your over trousers or suits with your boots still on but find they snag? Wrap your booted up foot in a 5p shopping bag first and you’ll glide on through. Next, what you’ve got on underneath matters just as much as what jacket or trousers you’re wearing, a good pair of thermal socks and thermal layering underneath it all will serve you well. 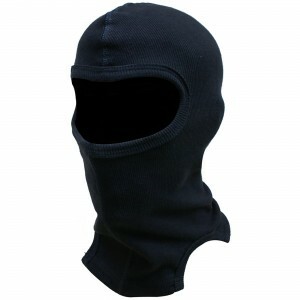 A good thermal balaclava and/or neck tube also won’t go amiss either, I often find just wearing my scarf helps to trap in a good amount of heat. It’s nice to have thermal socks and toasty toes and such but the most important thing is keeping your core warm with thermal shirts, trousers or suits such as the Oxford Warm Dry gear. Keep that core warm and the rest usually takes care of it’s self. But I’m not really one to talk since I treated myself to a couple of pairs of Oxford Socks. Lastly, this tip is purely for safety. The daytime hours are much shorter and as depressing as it can be, many of us will be leaving for work in the dark and then going home in the dark. 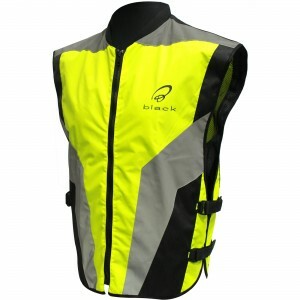 Make sure you’re seen and wear something to increase your chances like a hi-vis vest. Many people will be looking for excuses to get home quick and do some silly things, don’t let “I didn’t see them, officer” be one of those excuses. We’ve all been on the wrong end of a driver putting us at risk just to get ahead by half a second, be it trying to race us, changing lanes without looking or jumping the gun at a junction. If you’re as visible as possible at least this way they can’t blame or feign their own ignorance. And that’s it for my tips, for now! Perhaps I’ll post some more winter tips in the future but for now, I’m just focusing mostly on keeping warm. So ride safe, take care and stay toasty this winter, everyone! Thanks for reading and until next time!